The temperatures were high at Oulton Park, but did the racing live up to the heat? In truth, the day got progressively better with each race and it culminated in a new leader of the championship come 6pm on Sunday. Saturday’s qualifying session brought a first ever, and very surprising, pole for Matt Simpson. 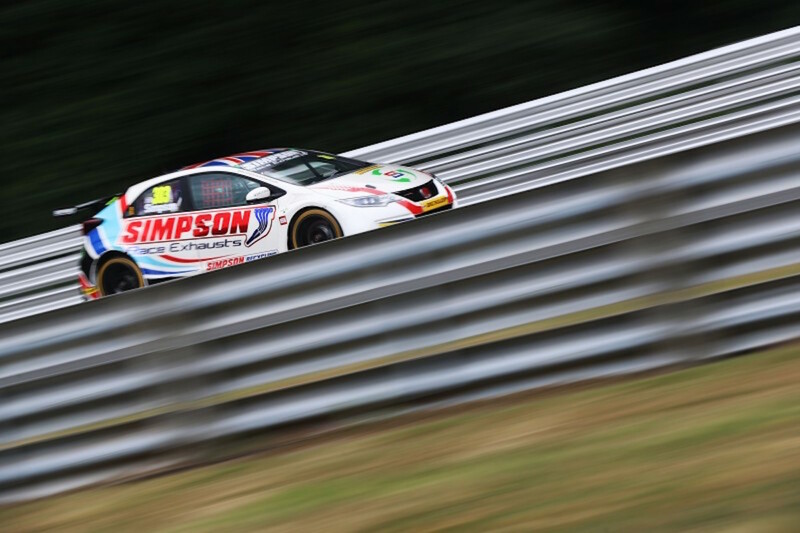 Considering he was eighteenth in the standings going into the weekend and without even a BTCC podium, it was something of a shock to see him comfortably secure pole from Sam Tordoff, Tom Chilton, Andrew Jordan and Matt Neal. 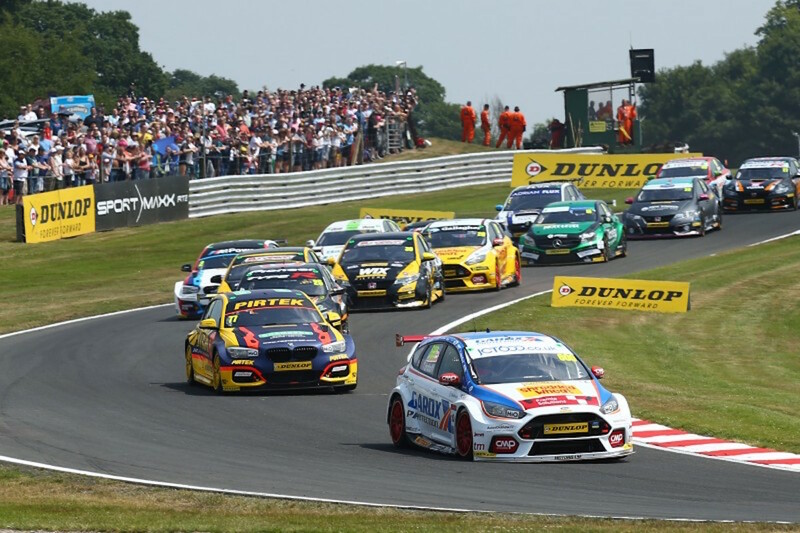 The championship top three after Thruxton struggled with the success ballast and Adam Morgan, Josh Cook and Tom Ingram couldn’t manage higher than seventeenth between them. Race two: Simpson’s joy didn’t last for too long as an engine issue ruled him out of the remainder of the day, meaning Chilton started on pole. It was an entertaining first lap as Chilton just held on to the lead, Turkington jumped to third and several cars found themselves off the track. A collision between Aiden Moffat and Dan Cammish found them sliding down the grass and Brett Smith was extremely fortunate not to wipe anyone out at the hairpin after being hit from behind before uncontrollably sliding along the grass before coming to rest on the apex of the corner. Race three: Rob Austin was the lucky man to be drawn on pole after finishing seventh in the previous race meaning the grid wasn’t completely mixed up. The final race of the day needed two attempts to get going. On the first start, Collard zoomed into the lead, but didn’t get much further as a massive crash behind him eventually brought out the red flag. A racing incident on the narrow grid saw the fast starting Mike Bushell squeeze between Tom Oliphant and Rory Butcher and as the gap closed, the inevitable happened and wiped out both BTC Norlin cars in the process. On the second race start, it was a carbon copy for Collard while Jordan and Chilton made progress as James Cole went backwards. There were also a couple of punctures and drive through penalties suffered before it settled down. At the end of the day, there was a new leader of the championship after a couple of impressive race meetings, Turkington. Not only does he lead, but he leads by an impressive twelve points at this stage of the season, with his traditionally best and favourite round of Croft to come next. 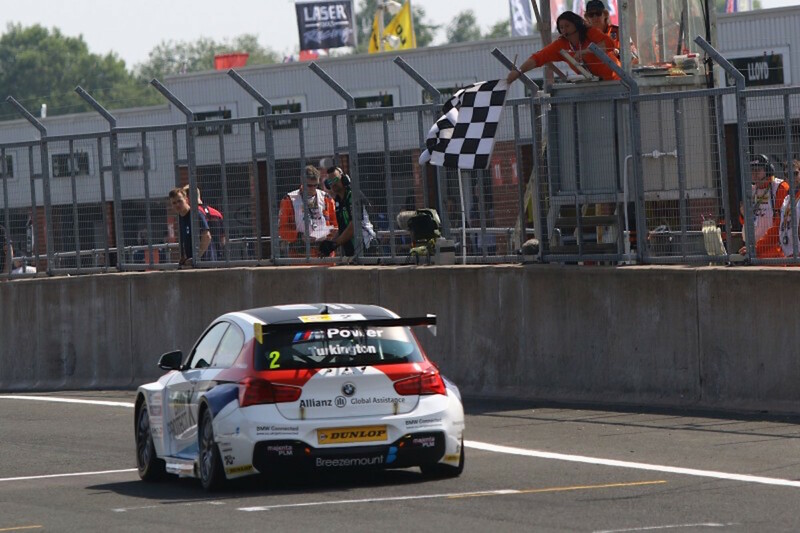 Obviously, you’d expect all of the BMWs to be strong next time out, but Turkington always seem to have the edge on Jordan and Collard, although his success ballast may play a part. 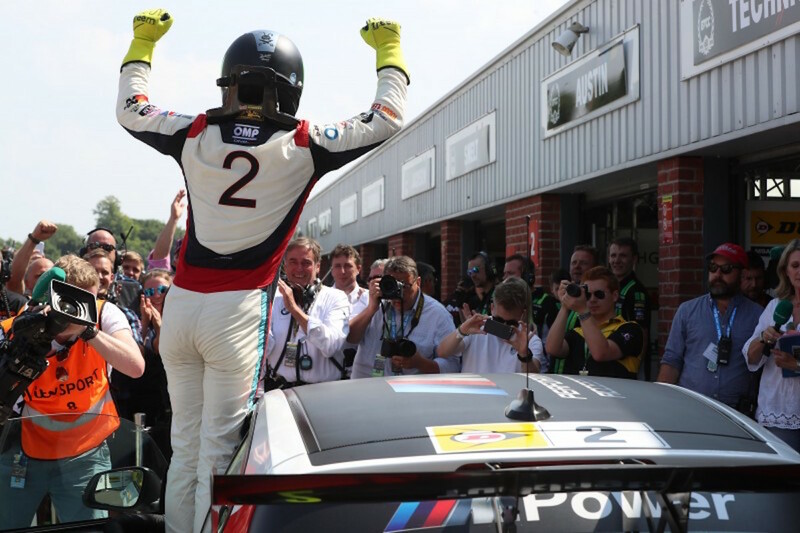 There is a long way to go in the championship, but Turkington has certainly put himself into a strong position and he’s sure to be feeling pretty pleased with himself. The leader going into the weekend, Morgan, certainly didn’t fair too well. Due to the nature of the circuit making overtaking difficult combined with the success ballast having a huge impact at Oulton, a poor qualifying was inevitable, which in turn put Morgan on the back foot for the weekend. He tried hard and made the best of a bad situation by finishing fifth in the final race after improving steadily race by race, a situation also copied by Ingram. Cook, on the other hand, who went into the weekend a point behind weekend, didn’t make the steady progress like the other two, although he picked up a couple of points in the final race of the day. In all honesty, it was a hard weekend for the Power Maxed Astras as Senna Proctor only picked up a couple of points in the last race of the day too. The Astras have been fantastic this season so time will tell if this was a blip or whether they’ve been outperforming their ability and now reality has hit. Meanwhile, it can hardly be said that the Subarus have been outperforming their ability this season; they’ve been an utter embarrassment. The decision to change engine supplier doesn’t look like it could have gone more wrong if they’d tried. Whether Jason Plato actually had a problem or not in the final race after being simply driven past by Moffat is up for debate, but he came straight into the pits after it. Plato is now becoming as frustrated and angry as I’ve ever seen him in his long BTCC career and I can see public fireworks coming soon. In his interview with ITV, he was short and the rumblings of an explosion are clearly coming. The only reason this is a discussion point is the fact that a Subaru driver won the championship only twelve races ago, yet Ash Sutton is still outperforming the car in 13th, while Plato’s 30thand Josh Price is last. Will Subaru ever get it right this season? It’s hard to see. Even though the next track Croft favours rear wheel drive, will it help Subaru at the end of June? No chance. 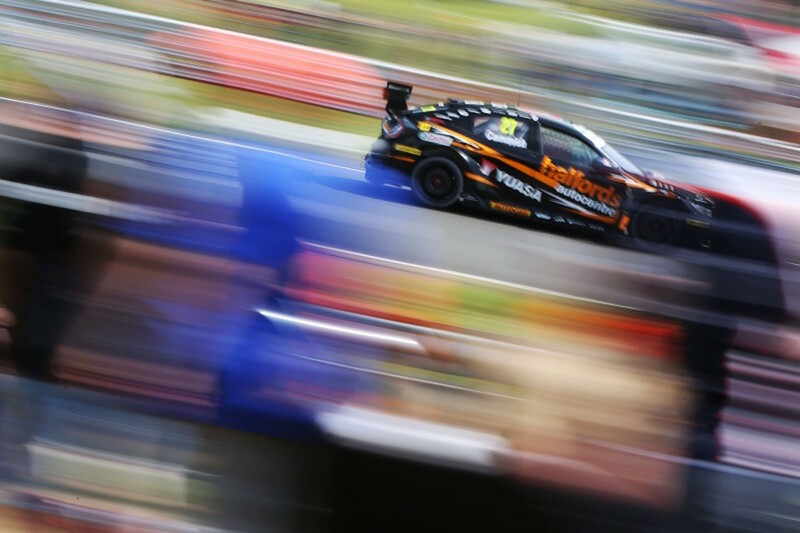 Previous Post BTCC 2018 | Thruxton | What did we learn?